US weapons researchers are looking to develop missiles moving more than five times the speed of sound, with arms giant Raytheon getting the initial $20 million development contract. The first flight tests are expected within two to four years. Existing ballistic missiles reach hypersonic speeds during the final stages of their flight, but are unable to change their trajectory, making them vulnerable to missile defense systems. An operational hypersonic missile could maneuver to evade counter-fire, and strike distant targets with great precision. The $20 million contract from Defense Advanced Research Projects Agency (DARPA) amounts to a feasibility study, noted Amy Woolf, a nuclear weapons policy specialist at the Congressional Research Service. Getting the theory to work would be a major breakthrough for both Raytheon and the US military. “The problem is we have yet to get a boost glide system to work,” Woolf told the Boston Globe. DARPA has been working on hypersonic missiles for years, testing one in 2011. It now appears those tests were not as successful as was claimed at the time, and the agency is enlisting Raytheon to go back to the drawing board. Raytheon executives seemed optimistic about their prospects. 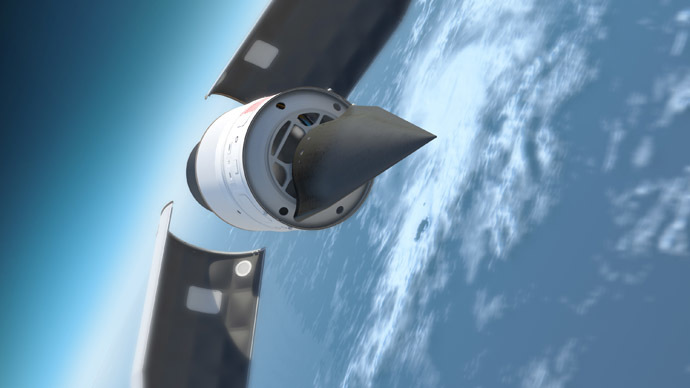 “We're on a fast track to deliver these hypersonic solutions,” Dave Scott, the company’s vice-president of Advanced Missile Systems Business Development, said in a press release. To qualify as “hypersonic” by US standards, a missile has to be capable of exceeding the speed of sound by at least five times (Mach 5). Previous attempts at hypersonic flight focused on a “scramjet” engine. Raytheon’s proposal is exploring a different possibility, called the “Tactical Boost Glide” system. The TBG missile would be launched from a conventional aircraft and rocket into the outer layer of Earth’s atmosphere at hypersonic speeds, gliding along the surface of the atmosphere before plummeting down onto the target. The key feature of the missile would be the operators’ ability to alter its course during that final phase. According to the Stockholm International Peace Research Institute data from 2013, Raytheon was the fourth-largest arms manufacturer in the world, with 93 percent of their $23,7 billion sales coming from weapons. Earlier this month, the Chinese People’s Liberation Army tested a hypersonic missile they say is capable of reaching Mach 10. It was the fourth test of the missile, designated “WU-14” by the US military, in 18 months. Russian weapons manufacturers have said they hoped to have a hypersonic missile operational by 2030.